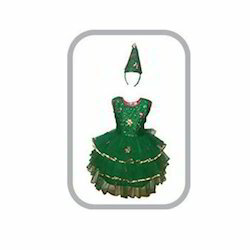 We are presenting an excellent quality assortment of Christmas Tree Costume. We are mfg of all types of Santa Dress (Jacket, Trouser, Cap, Bag, Belt) we have 7 size Santa Dress from age 1-3/ 4-6/7-10/11-15/16-20 XL/XXL. Bag Belt not available in size of small . We use good quality colth (not China) and also mfg Customize as per client need . Backed by industry knowledgeable experts, we are providing a wide collection of Girl Christmas Costume. Owing to their long lasting, these products are extremely well-liked by customers. 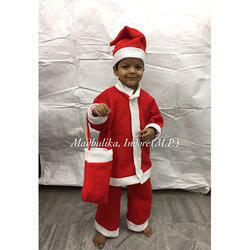 Christmas is on the way so be ready to dress up your child with santa suit from size 0 onwards.